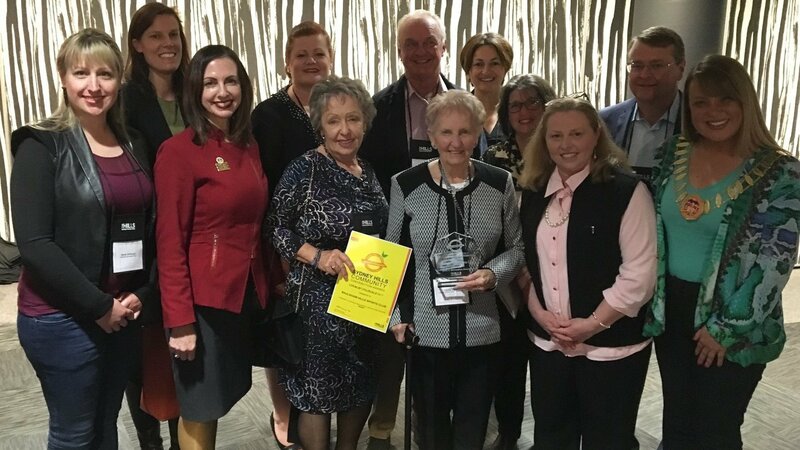 Every year, the Hills Shire hosts the Locals for Locals Awards, providing an opportunity for Council and the community to recognise businesses and organisations for the outstanding contribution they make to the local area. There were six categories this year: Business, Community Service, Sports & Recreation, Education, Arts & Culture and Environment & Sustainability. Baulkham Hills Sports club and its nine associated sporting clubs entered the Sports & Recreation category, and we won! The group, made up of volunteers from the Baseball, Cricket, Football, Golf, Junior/Men’s/Women’s Hockey, Netball and Tennis clubs, along with Baulkham Hills Sports Club, have a long history of contributing top local sport and facilities in the Hills area. Dating back to the 1960’s, our clubs have worked with Council to help transform local sporting fields like Ted Horwood Reserve (formerly Park Rd Reserve) from a rundown one-field venue, into the outstanding five-field complex that it is today. Baulkham Hills Sports Club also utilises the services of the Sport & Community Department, based at Bankstown Sports Club, which provides free training to volunteers, as well as assistance with cash and in-kind funding grants. The Sport & Community team has also established the G.O.A.L framework, which has set performance benchmarks for our clubs, and it has introduced Xero – a cloud-based accounting package to improve the financial administration in clubs. Eight of our sporting club volunteers were joined by Baulkham Hills Sports Club Venue Manager, Sarah Hillhouse, and members of the Sport & Community Department at an awards ceremony on Friday night, where Hills Shire Mayor described the group as the ‘unsung heroes’ of the community.